Absinthe Gothica does not use a classic recipe, is not made according to grandfather's traditions and does not want to be a French Absinthe. Why? Because this Absinthe turns to something new, a new dimension of the dark world of the "Evil" Fairy. We ship to USA, EU, JP etc. This Absinthe is different. It does not use a classic recipe, is not made according to grandfather's traditions and does not want to be a French Absinthe. Why? 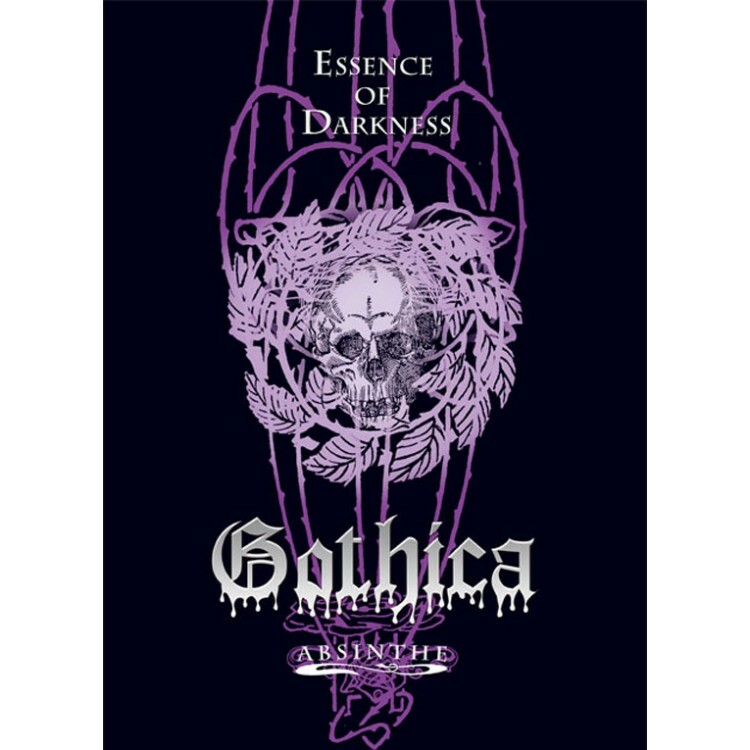 Because Gothica Absinthe turns to something new, a new dimension of the dark world of the "Evil" Fairy. 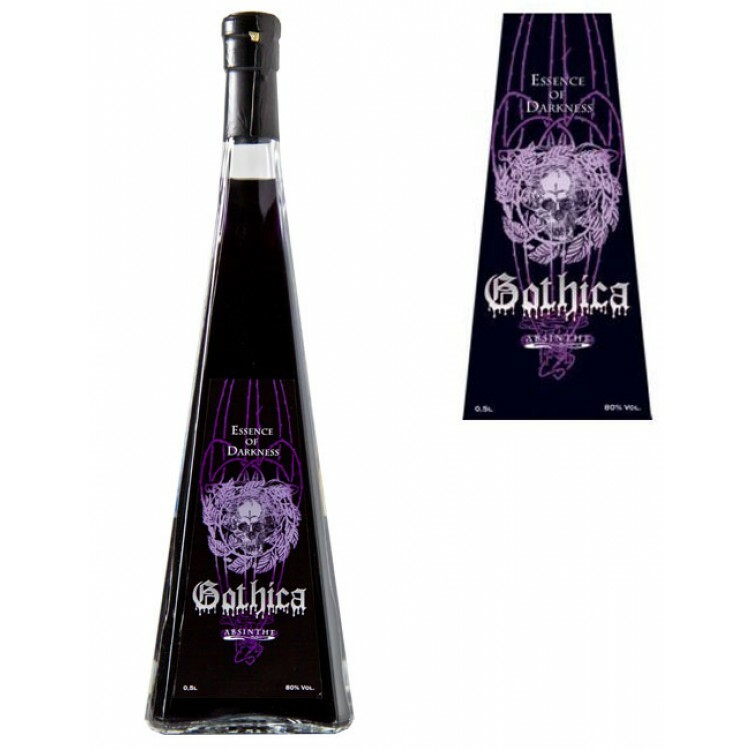 The taste of Gothica Absinthe is herbaceous and strong with slightly bitter notes of wormwood. Overall, the Absinthe is not too dominant in anise, but has a slightly sweet floral note, which is due to the refinement of the Absinthe with rose blossoms. The colour of the Absinthe is a dark black-purple, but with the addition of water Gothica clouds into an opalescent innocent white. 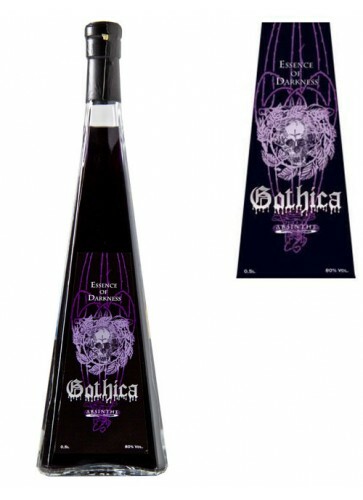 Due to the high alcohol content of 80% (160 proof) Absinthe Gothica should only be consumed in moderation. The Essence-of-Darkness is not for weak minds! Absinthe Gothica is a strong Absinthe, no doubt about that, but it has as well a nice note of roses. In combination with red wine you get a pretty seductive drink. This is the recipe: You first have to fill the glass with ice cubes, then Gothica Absinthe is added and you perform the Absinthe ritual with an Absinthe spoon and sugar cube. At the end you add a shot of red wine (Bordeaux works well, but you can take whatever you like). In the following video you can see the drink. Beware, with the red wine the drink is super strong. Absinthe Glasses & Spoons Set "Skull"
Okay, seriously. I only had 2 cups of this stuff!? The last thing I remember was talking on the smartphone with my mother. I wake up, and it's 4:00 am in the morning! I remember absolutely nothing! My smartphone and laptop is on the floor. I was in the middle of writing a book, and I don't even remember what happened after I talked with my mother? My mind is completely blank! What the what! Strange. Ok, yes I have schizoaffective disorder and I hadn't slept in 3 days, but seriously, I have never lost my memory before because of it. Also this absinthe tastes like Lucid amplified to the ultimate max! I remember now, because my bottle is almost half empty, and now I am having some more. Please don't erase my memories Gothica! Loved this flavor of Absinthe. The best absinthe that I have tried so far. A powerful drink as a shot with a water chaser. I'm more of a "traditional" absinthe fan but was surprises with this modern absinthe. Although I'm not a fan of "coloured" absinthe I was surprised by this one. 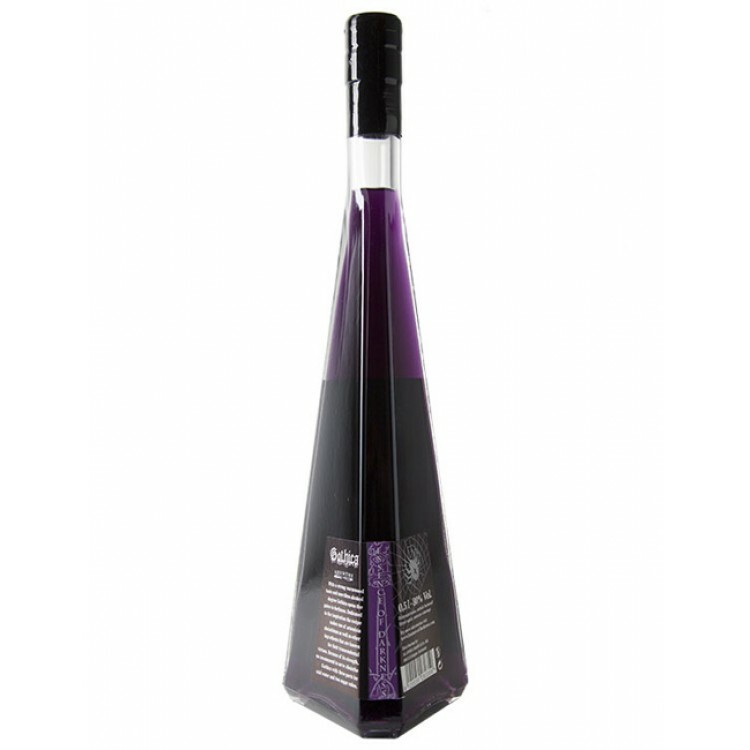 Great louche and love the purple colour...80% alcohol but smooth taste even with only one sugar cube. Great if you want the same feeling of original absinthe but want something different and not traditional. My guy is a stickler for the traditional Absinthes, while I am more open to different interpretations- I lean towards the strong blends. We both agree that what is at the heart of any great Absinthe is the wormwood which this strong blend has in abundance. This is VERY strong yet smooth when louched in the traditional way. The violet louche is quite lovely! There are floral notes in this not found in traditional blends, but they enhance the experience nicely. My guy (an avid JADE fan), even enjoyed it, although he considers this not a \"true\" absinthe. The art of enjoying Absinthe should not be locked down into a narrow confine, it should be allowed to evolve. And Gothica is a firm \"Yes\" to the argument that you can deliver without sticking to a century\'s old expectation... perhaps one can exceed it.